You are welcome to this gathering. I thank you for attending the meeting of Principals of Catholic second-level schools. Also I wish to thank you for your work over the past year. You fulfil an essential task in the life of our young people and in the life of the Church. Leadership in Catholic education is a service to parents, pupils and the life of the Church and indeed an important service to our society. In fact our schools contribute effectively to building the fabric of our day-to-day lives. Education is the single greatest key to human dignity. Schools teach responsibility, duty, self-restraint, respect for authority, the importance of hard work and honest achievement as well as the code of fidelity and commitment. Parents choose to send their children to our Catholic schools. It is their choice that will guarantee the Church’s on-going commitment to Catholic schools. As long as there are parents who wish to have their children educated and formed in Catholic schools the Church will do everything possible to support our Catholic schools. In other places what one might call faith schools have become very much sought after and this frequently in a profoundly secular culture like England or the U.S. One might wonder why this is so. We can only speculate. Perhaps parents in those societies recognise the wider society is no longer in keeping with the values they espouse. Perhaps they do not want their children taught by fashionable methods which leave them bereft of knowledge and skills. They do not want them to have self-esteem at the cost of self-respect, won by hard work and genuine achievement. They do not want then to be taught that every difference of behaviour reflects an equally valid lifestyle. They do not want them to be moral relativists, tourists in all cultures, at home in none. They do not want to take the risk of their children taking drugs or alcohol or becoming sexually promiscuous. Many parents in these cultures do not want a massive gap between their chilren’s values and their own. They do not want moral values undermined by a secular, sceptical, cynical culture. Parents in these situations, as they visit local schools and see that those that have a strong religious ethos tend to do better in their academic results, have better discipline, and inculcate a stronger scense of citizenship than those that do not.  At a recent meeting of our Bishops’ Conference we agreed to promote the Irish Catholic Catechism for Adults in the Dioceses with a view to growth in the faith and in Catholic life at this time. So this evening I encourage you to get a hold of this book and search for the reasons which will encourage you to live faithfully as Principals of Second-level schools and in the situations in which you find yourselves. Catholic schools and parish religious education programmes can help parents fulfil their responsibility to educate their children in the Catholic faith. Parents are encouraged to use Catholic schools and parish programmes whenever possible. Your schools support parents in this crucial role. Our Bishops’ conference and the Catholic Schools Partnership have produced much documentation which is very helpful to schools. Vision 08 set out a vision for schools. Share the Good News (the National Directory for Catechesis in Ireland\) outlines a policy for schools in Ireland and for the on-going education of adults. The Council for Catechetics is in the process of producing a curriculum for the religious education of children in Primary Schools. It has also produced Guidelines on Relationships and Sexuality Education. Schools have a key role in the education and formation of young people. They are not ancillary to parents, to government or to the State. They have a role in their own right. They work towards the education and formation of children. Schools, responding to the desire of parents for the education of their children, are guided by the direction of the Sate through the Education Act and by Government circular. Denominational schools are subject to the ethos of the denomination under which they are founded, organised and run on a day-to-day basis. Yet within this complexity schools retain a certain autonomy which is best characterised in the quality of the education offered and the relationships evident in their day-to-day activity. Schools through their ethos, in the quality of the education and formation offered to pupils and through enabling students to relate civilly and effectively with each other make an enormous contribution to the common good and to the culture of society. Yours is a key role within the Church and within the State. Pope Francis places two virtues as key to relationships in the human family: mercy and care for the weak and the marginalised. If such virtues inform relationships in schools their influence on society will be enormous. On the 13th October 2014 the Catholic Schools Partnership will launch a discussion paper on Second Level schools. Among the questions addressed by the paper will be the seminal question: Why do we have Catholic schools? It is best understood as an invitation to allow Catholic faith inform the education, the values and the traditions that are lived out on a daily basis in the school. It must be acknowledged that all schools hold much in common in terms of structures, curriculum, inspection and assessment. Every school attempts to serve society in a meaningful way. Schools today find themselves in challenging circumstances due to enormous social, cultural and economic changes. In an age dominated by media and information technology and during what is a really serious economic recession, significant new pressures are brought to bear on children and adolescents, on family structures, on religious practice, on community life and, not least, on behaviour in the school classroom. In this new cultural context every school needs to articulate their identity as Catholic with a distinctive contribution to the education project. In this way schools are not just reacting to the latest trend or fashion but are truly articulating their self-understanding. This is a challenge that Catholic schools take seriously. Catholic schools educate to intercultural dialogue. Schools guided by faith principles can provide an intellectually stimulating and spiritually nurturing environment for all students who attend them. I wish you well in the coming year and I hope you enjoy our time here this evening. Next articleA celebration of Marriage!